ABS-ESD7 lets electronics manufacturers expand the use of 3D printing onto the assembly line. Static dissipation also makes the material ideal for applications in the presence of powders, dust and mist that might otherwise be attracted to a plastic part. Suitable specifically for use in Stratasys Fortus Production 3D Printer series including the Fortus 380mc, 450mc and 900mc - not suitable for the entry level Fortus 250mc printer. ABS-ESD7 prevents a buildup of static electricity - so it will not produce a static shock or cause other materials like powders, dust or fine particles to stick to it. For applications where a static charge could damage components, impair performance, or cause an explosion, FDM Technology offers ABS-ESD7 static-dissipative thermoplastic. 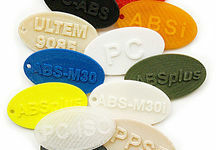 ABS, one of most commonly used thermoplastics, has been the foundation for FDM for many years. Measured by annual consumption, it is the most widely used material in FDM machines. 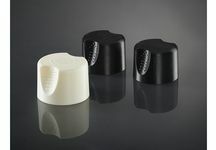 A UV-Stable, Production-Grade Thermoplastic for Stratasys Fortus 3D Production Systems.